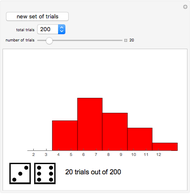 This Demonstration simulates rolling two dice over and over again and recording the totals. 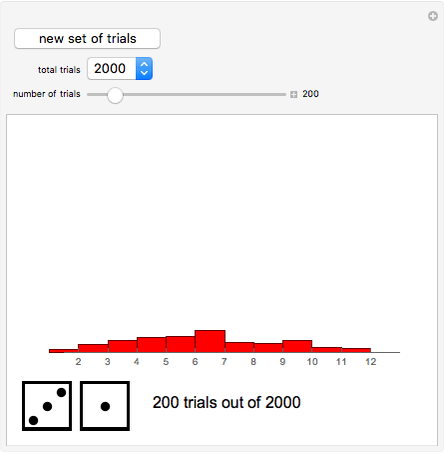 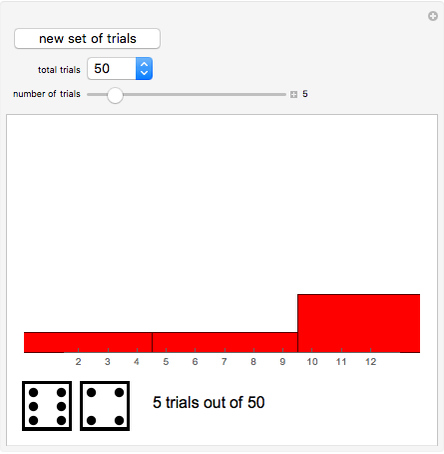 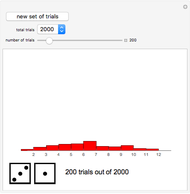 You can choose the number of trials and step through or animate the rolls. 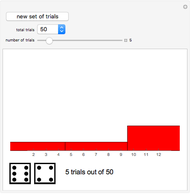 Click the "new set of trials" button to create a whole new roll history. Abby Brown "Two Dice with Histogram"